Presenting a professional image on the telephone is an important business skill that is often overlooked. A telephone call is normally the first point of contact a customer will have with your business. It is critical that this first point of contact creates an outstanding first impression. 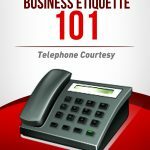 Business etiquette expert and professional speaker Lydia Ramsey will help you develop a strong set of excellent telephone skills that will give you the edge over your competition. 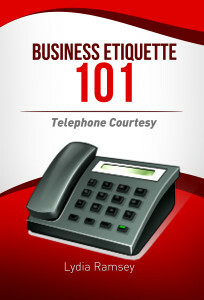 Making sure that you have the right tools when communicating with customers or clients is the goal of this book. Is Your Voicemail Menu Customer Friendly?